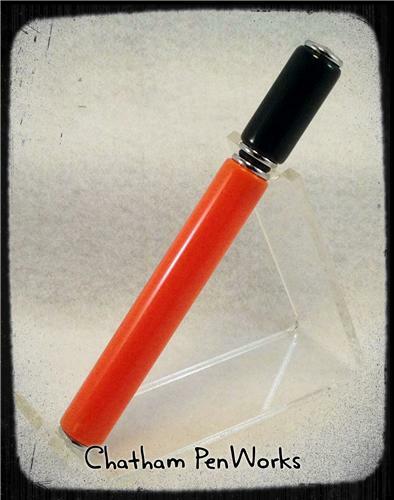 The perfume pen is about the size of a small pen, and can be used during the day to apply fresh amounts of perfume with precise control and little notice. The rubber seal against the end cap prevents leakage or evaporation. They are especially great for the lady who likes to fly - no worrying about your perfume bottle breaking or getting taken by security for being too big.